The object of government in peace and in war is not the glory of rulers or of races, but the happiness of the common man. 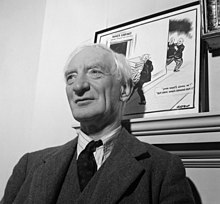 William Henry Beveridge, 1st Baron Beveridge of Tuggal (5 March 1879 – 16 March 1963) was a British economist and social reformer. The state is or can be master of money, but in a free society it is master of very little else. Any proposals for the future, while they should use to the full the experience gathered in the past, should not be restricted by consideration of sectional interests established in the obtaining of that experience. The trouble in modern democracy is that men do not approach to leadership 'til they have lost the desire to lead anyone. Scratch a pessimist and you find often a defender of privilege. Ignorance is an evil weed, which dictators may cultivate among their dupes, but which no democracy can afford among its citizens. Any proposals for the future, while they should use to the full the experience gathered in the past, should not be restricted by consideration of sectional interests established in the obtaining of that experience. Now, when the war is abolishing landmarks of every kind, is the opportunity for using experience in a clear field. A revolutionary moment in the world’s history is a time for revolutions, not for patching. Organisation of social insurance should be treated as one part only of a comprehensive policy of social progress. Social insurance fully developed may provide income security; it is an attack upon Want. But Want is one only of five giants on the road of reconstruction and in some ways the easiest to attack. The others are Disease, Ignorance, Squalor and Idleness. Social security must be achieved by co-operation between the State and the individual. The State should offer security for service and contribution. The State in organising security should not stifle incentive, opportunity, responsibility; in establishing a national minimum, it should leave room and encouragement for voluntary action by each individual to provide more than that minimum for himself and his family.